Do Dogs Get Seasonal Affective Disorder in the Winter Months? Could Seasonal Affective Disorder cause the winter blues in our dogs, too? Experts say yes! Luckily, it’s easy to help your dog overcome the chilly-weather doldrums. Seasonal Affective Disorder, or SAD, is a type of depression that commonly occurs in humans, especially in the winter months when we spend less time outdoors, have minimal access to bright, sunny days, and have fewer hours of daylight each day. 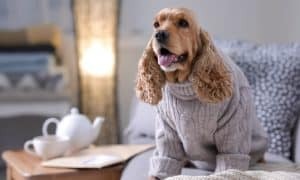 While the disorder commonly causes depression-like symptoms in humans, evidence suggests that dogs, too, are affected by the lack of sunlight this time of year. The dark, gloomy days and longer, colder nights of winter can cause dogs to develop Seasonal Affective Disorder, just like humans. In dogs, symptoms include lethargy, neediness, behavioral changes such as aggression and inappropriate pottying, and a general feeling of “blah.” In extreme or extended cases, even hair loss can occur. So, how do you combat Seasonal Affective Disorder in your dog? The same way some humans find relief – with artificial sunlight! Light boxes commonly used by humans for SAD have been found to be effective in treating dogs, too. The premise behind the light box is that it fills a room with artificial sunlight to help balance the body’s production of melatonin, thus keeping sleep cycles and moods in check. Light boxes vary in size and price, but are typically used for 30-45 minutes each day for optimal results. In addition to light therapy, providing your dog with mental stimulation (for example, fun training exercises, brain games, treat puzzles, or scent games) can work very well toward building his confidence and lifting his spirits until the sun is shining again. 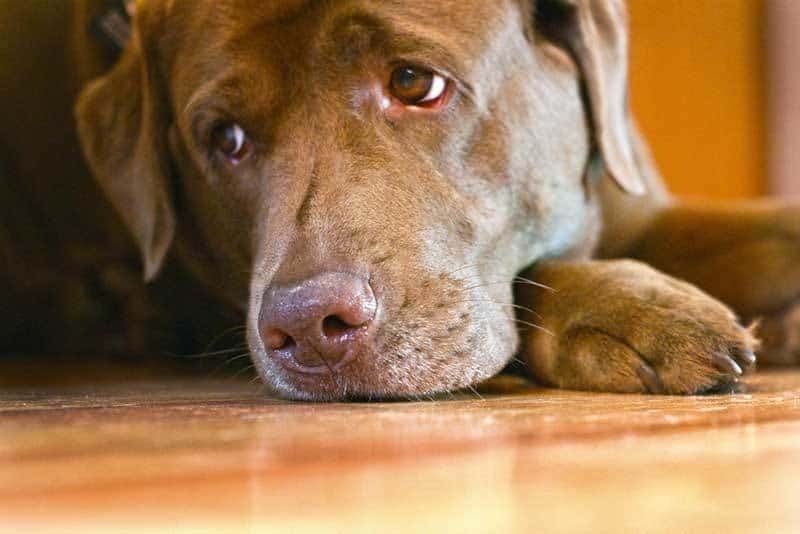 Does your dog experience Seasonal Affective Disorder? What types of changes do you notice in your pet? My Aussie mix is now 10 1/2. For the last 3 years (late fall/early winter), always on a full moon, his nighttime sleeping pattern has changed. He now doesn’t seem to want the job as First Responder and sleeping near our front door. He’s moved toward the back of the house (my bedroom and the bathroom at night)…This had been accompanied by nighttime wanderings. I set up a bed for him in the bathroom with my shirt on it and giving him some Melatonin at night….This tends to go on for a few months then all is back to normal…the rest of the day he is totally fine! I'm trying to generate some interest in actually testing dogs for SAD using the Dr. Gregory Berns' "Unrestrained Canine MRI" protocol he developed for brain imaging dogs at Emory University. This technology and testing could easily be duplicated in a geographic region with a proven high prevalence for SAD in humans. Using the methodology of Dr. Berns, a year-long test could be set up to test a group of dogs several times over the course of a year. The results would either show changes in these dogs' brain chemistry (that would point to SAD) or they wouldn't. Thoughts? We – along with dog owners in geographic areas with a high prevalence for SAD, and the scientific/anthrozoologic community – would absolutely be interested in your findings! Thank you for this article. I was wondering why my dogs are so reluctant to go for walks in winter. I thought they didn’t like the cold or the snow on their paws. But this makes a lot of sense. I have a SAD light on order right now! Let’s see how it goes.